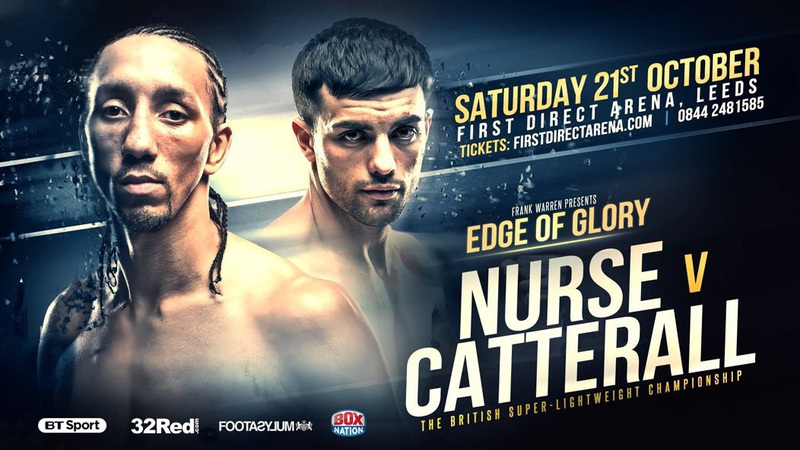 Super-Lightweight contender Joe Hughes is backing Jack Catterall to defeat British Champion Tyrone Nurse when the foes do battle at the First Direct Arena in Leeds next Saturday, live on BT Sport and BoxNation. Hughes, 27, is a former opponent of both men and will be keeping a close eye on the outcome of one of the most eagerly-anticipated Lonsdale Belt showdowns in years. Chorley’s Catterall outpointed Hughes to become the mandatory challenger for Nurse’s title in a hard-fought battle at the Bolton Whites Hotel in May 2016. Both men refused to concede ground and were locked in a battle in the centre of the ring for long periods of the fight. Hughes dug deep to earn an impressive draw with Nurse at the Leicester Arena back in April. With Nurse boasting a superior reach, Hughes had to box clever on the inside and did well to wrap up his opponent, who had been out of action for nine months. “It’s a fight I’m really excited about and a tough one to call,” said Hughes. “I fought both so know how good they are. “It was very hard to land clean on Tyrone. I know he’s been dropped but he can definitely take a shot. To give himself the best chance, he’ll need to stay behind his long jab and use plenty of movement, throw lots of shots from a safe range. He’ll not be able to hurt Jack. “Jack’s a strong kiddie and, though he never really caught me clean, I could tell he punched hard. He was good all round; good range, clever, knew how to shut the action down when needed. He kept his shape throughout. To win here, he’ll need to apply high pressure, cut Ty off, use his strength, work Ty’s body.